Our cute wooden welcome wedding sign is perfect for adding to the entrance to your ceremony or reception venue. 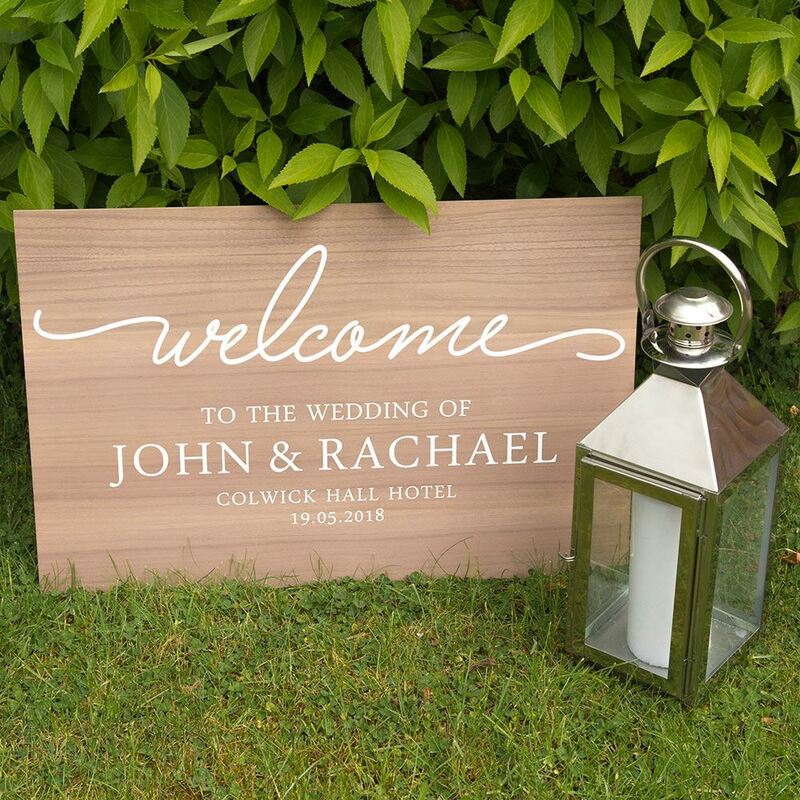 If you are looking for a stylish way to mark the entrance to your wedding, our Welcome Wedding Signs make the perfect choice. 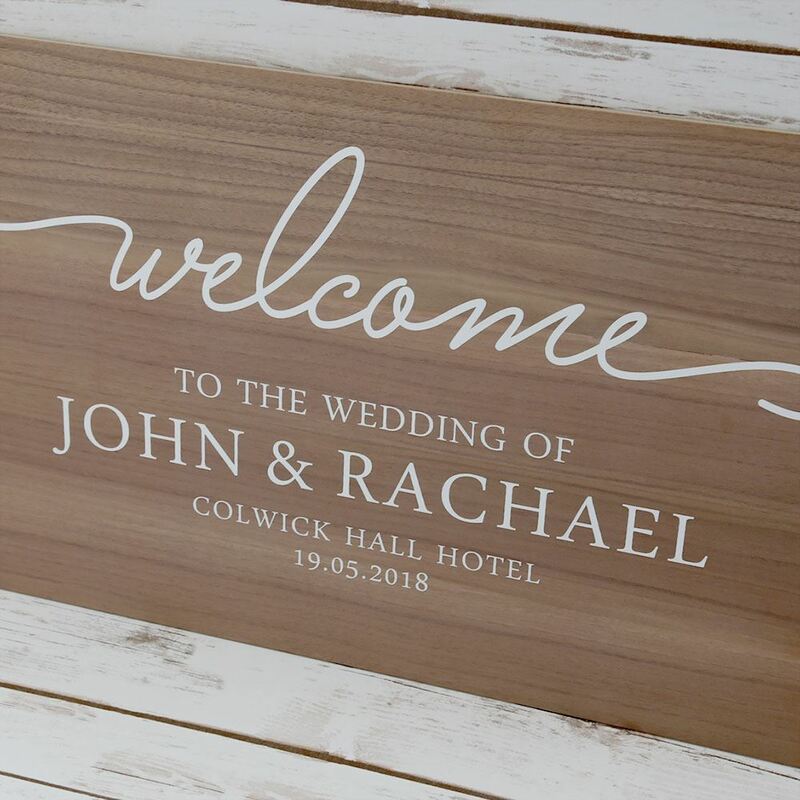 Whether you are having a rustic barn wedding or a country hotel, our signs look great either indoors or outdoors (although please note they are not waterproof so the wood may swell if stood outside in the rain for long periods). They can be dressed with flowers or foliage and stood on an easel or propped against steps with lanterns for a romantic look. 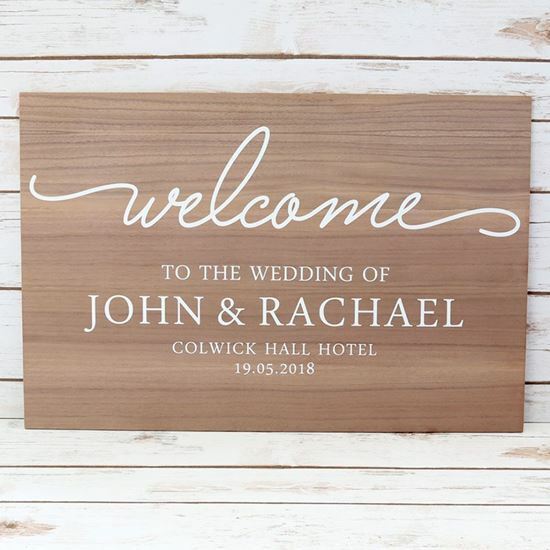 Each sign measures 60cm x 40cm and comes personalised with the names of the bride and groom, venue and wedding date. 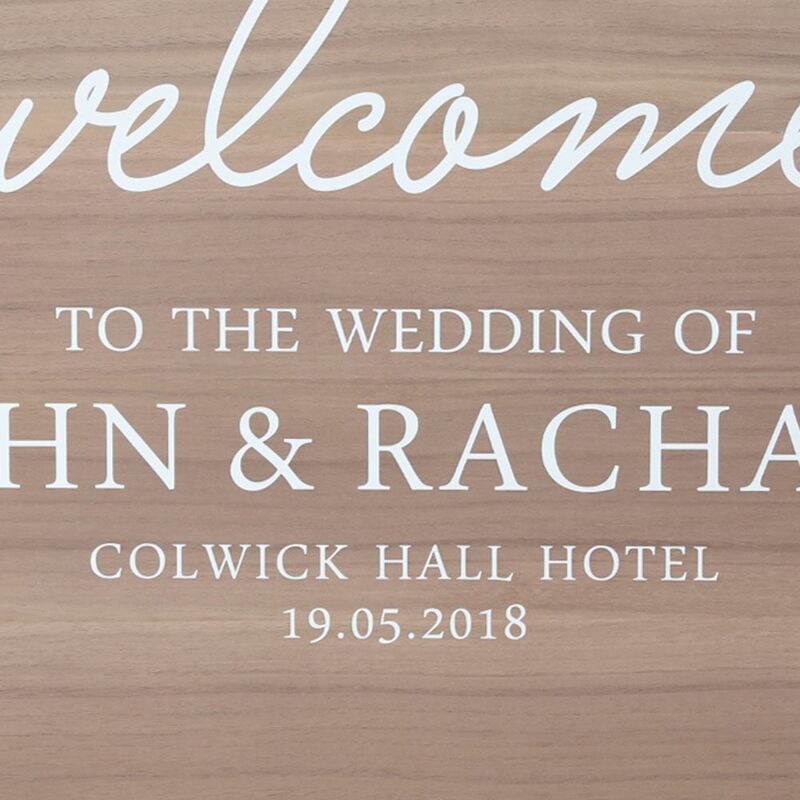 If you would like to change the wording on the sign please contact us to discuss your requirements. 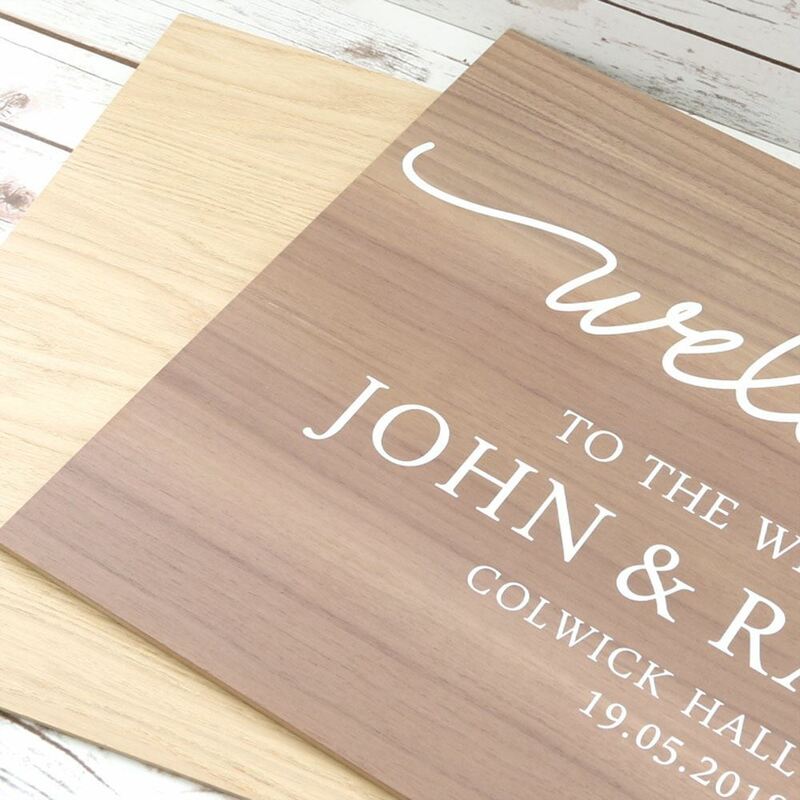 Our signs are made using 6mm thick Walnut or Oak double sided vaneered MDF board. The wording is cut from white vinyl. Please note that this is a natural product so the look and grain of the wood will vary on each board.